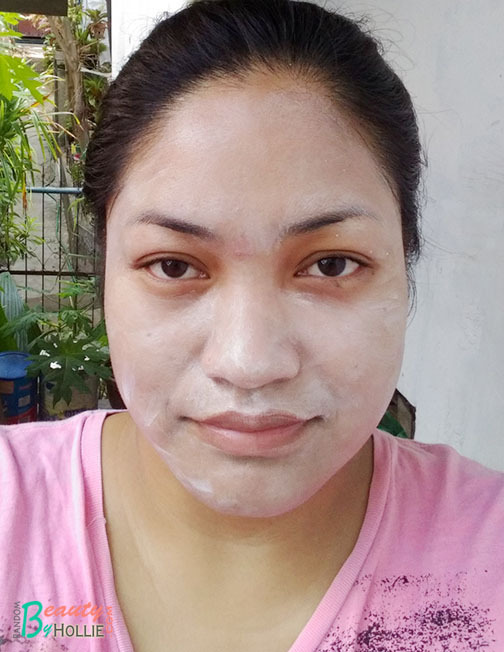 A few months ago, I noticed that my skin changed. It has become prone to pimple breakouts, it felt a little dry and just generally patchy and dehydrated. Which led me to really start taking care of my skin. 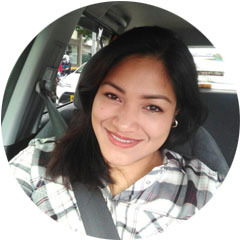 I recently changed my skin care routine (which you can view in my previous post) and thankfully it worked out well for me. I also did a bit of research for some Korean Skin Care products which got me curious about a lot of brands. 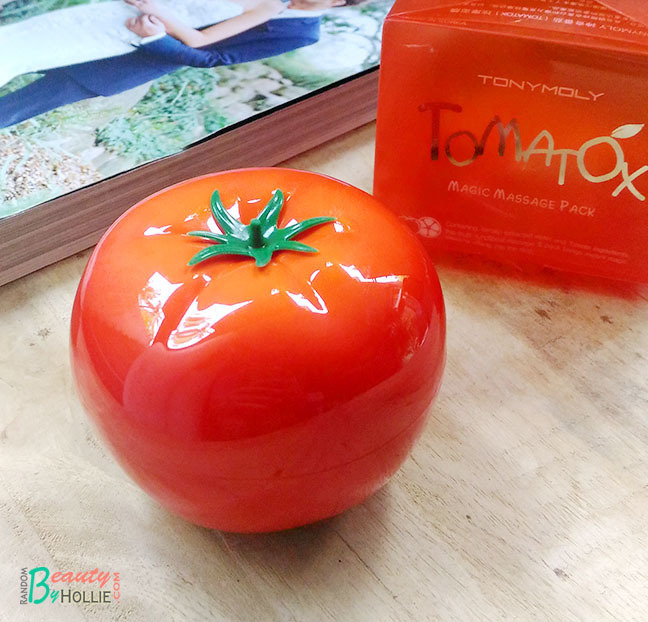 For now, I am trying out a face mask from Tony Moly. 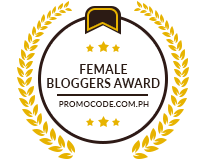 A lot of you may have heard great things about Korean Makeup and it is getting quite popular in Asia and in the US. 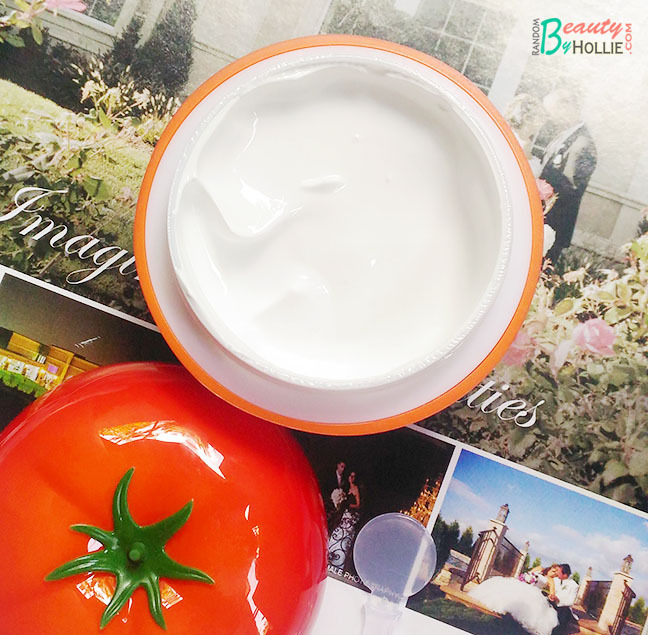 Especially those that want to achieve that bright and clear skin, I am no exception to the fact. So, I've been trying out this face mask for the past two weeks and used it about 3 times a week so I can get a good feel about the quality and effectiveness of the product. I am just relieved that this didn't irritate my skin or give me some sort of allergy whatsoever. 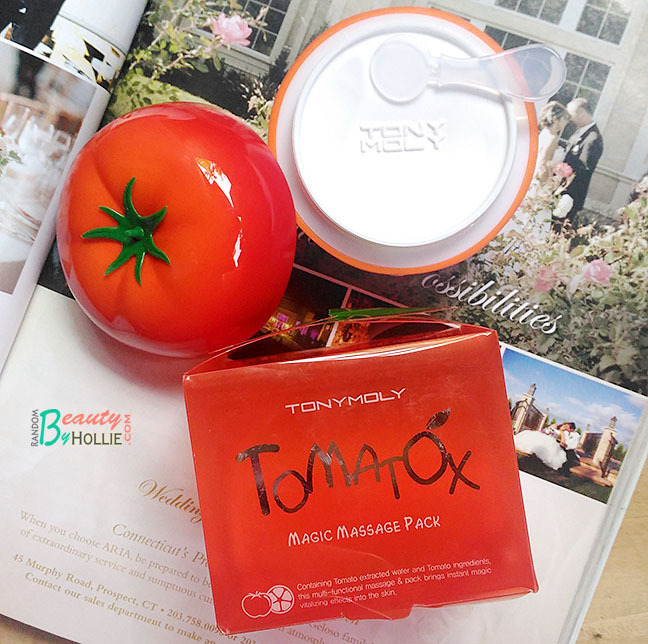 The Tony Moly Tomatox Magic Massage Pack claims to leave you with clear and supple skin. In the two weeks that I tested this out, I do think it helps clarify the skin. I just applied a decent amount of product on my face and left it for 15 minutes before I washed it off. I also did feel a little sting on my face when I first put it on, but it disappears after a few minutes. 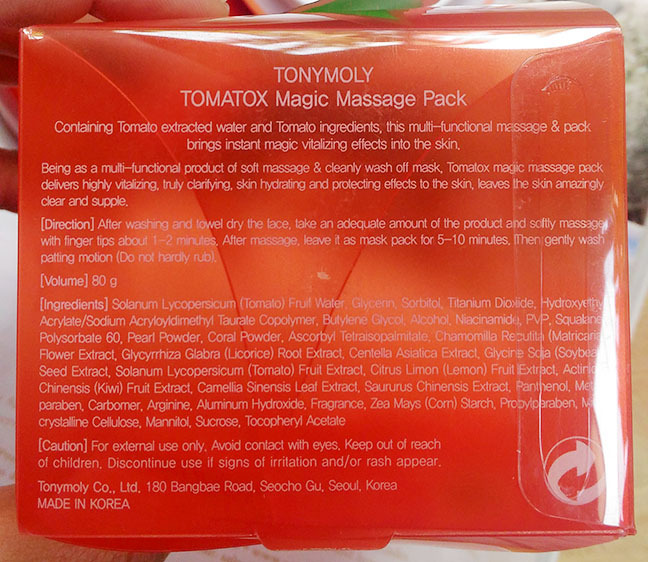 It's probably caused by the Tomato Extract since that can be acidic. Even though the packaging is appealing, I honestly don't find this convenient to use. When I first opened the jar it was a big mess since I wasn't careful enough. hehe. And if you're clumsy like me, there's a high probability that you'll spill the contents of the product if you're not careful. It would have been nice if this was in a squeeze tube form, as that would be more hygienic as well. In conclusion, this product isn't so bad for the price. But I'd like to point out that it does a good job with making your face look fresh and clear. Just put on some moisturiser after. Also, I do think there are better products out there. It's just a matter of preference and finding what suits you. ohmygosh, looking at your pictures I'm thinking what have I been doing with this mask, I have always applied a lot more than what you have shown =.= I knew I was doing something wrong cause it tingles every time I use it, but I love that it makes my face looks squeaky clean and it brightens up my face.